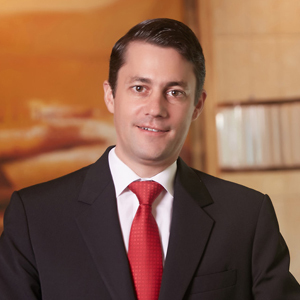 Shanghai, China, 2018-May-01 — /Travel PR News/ — Four Seasons Hotel Shanghai welcomes Adrian Messerli as General Manager. Following his career journey with Four Seasons, Messerli makes the move from his most recent post at Four Seasons Resort Seychelles to Shanghai. Born and raised in Switzerland, Messerli has travelled widely over the course of his career, climbing in management at Four Seasons destinations in the Caribbean, South America, Europe, the Middle East and East Africa – where he was first appointed General Manager in Seychelles – en route to Shanghai. In addition to his current role as General Manager at Four Seasons Hotel Shanghai, Messerli was handed the newly created role of Global Spa & Wellness Lead with focus on People Development. Though hotel work is Messerli’s primary passion, it isn’t his only one. Messerli spent three years in the Swiss military service; and aside from mountaineering, he’s an avid tennis player, enjoys the occasional round of golf and has always had an interest in aviation. This entry was posted in Hospitality, Hotels, Travel, Travel Management, Travel Services, Travelers and tagged Adrian Messerli, appointment, Four Seasons Hotel Shanghai, General Manager. Bookmark the permalink.